Our journey begins as we depart the USA and to Dublin, Ireland. Meals and beverages are served in flight. Upon arrival at the Dublin airport, we are met by our Pathfinders representative and begin our journey in Ireland. 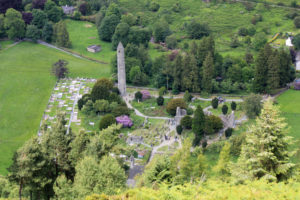 Our first stop is Glendalough, a 6th century settlement founded by St. Kevin. After we visit the medieval remains of the Cathedral of Sts. Peter and Paul, we travel to our hotel in Kilkenny. Dinner and overnight in Kilkenny. Today begins with a visit to the Kilkenny Castle and the quaint city built around it. 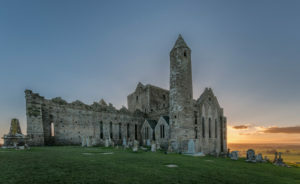 We make our way to the Hollycross Abbey and then continue to the Rock of Cashel, believed to be the place that St. Patrick used the shamrock to explain the mystery of the Holy Trinity. After visiting the nearby medieval town of Cashel, we return to Kilkenny for dinner and overnight. No journey is complete without a taste of the local favorites, so today we visit the Jameson Distillery. 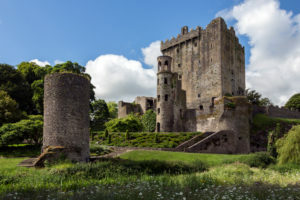 After a tour and tasting, we journey to the Blarney Castle for a tour and the opportunity to kiss the Blarney stone in hopes of receiving the gift of eloquence. After some time at leisure, we travel to the town of Killarney for the night. Dinner and overnight in Killarney. 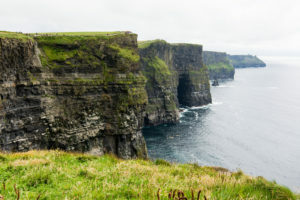 We journey today to the beautiful Cliffs of Moher and the Poulnabrone Portal Tomb. We then experience a taste of the “farm life” as we travel to Rathbaun Farms, and enjoy their teas and scones. (http://www.rathbaunfarm.info). We end our day in glorious Galway. Dinner is on your own tonight to experience a neighborhood pub! Overnight in Galway. Today we experience a unique window into the Irish Gaelic culture as we journey to Cnoc Suain. (http://www.cnocsuain.com). After a full day of exploration we return to Galway. Dinner and overnight in Galway. As we make our way to our Knock, we journey through the hidden gem that is Connemara! 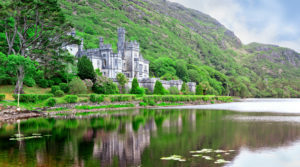 We experience amazing scenery as we make our way to Kylemore Abbey and Gardens. We continue on to the base of Crough Patrick, the holiest mountain in Ireland, for a visit to the tourist center. We then have a opportunity to walk part of the mountain route. Dinner and overnight in County Mayo. 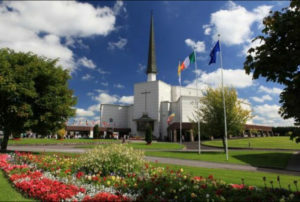 Our journey today takes us on retreat to Knock Shrine, Ireland’s National Marian Shrine. We gather with other pilgrims to celebrate the Eucharist and have the opportunity to receive the Sacrament of Reconciliation. After a guided tour, there is time for reflection and leisure. Dinner will be on your own tonight. Overnight in County Mayo. We begin our journey to Northern Ireland by visiting the Holy Well at Tabernault. As we arrive in Belfast, we experience a city tour, including the Titanic Museum. Dinner and Overnight in Belfast. 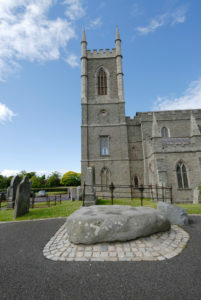 Today we visit Downpatrick, where St. Patrick and St. Brigid are believed to be buried at the Down Cathedral. After we tour the grounds we journey to Armagh, the ecclesiastical capital of Ireland. We visit the Catholic Cathedral of St Patrick before heading into Dublin. Dinner and overnight in Dublin. 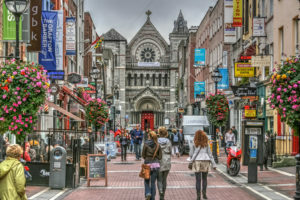 Today we explore Dublin, visiting many significant sites including Trinity College to see the Book of Kells. Of course no journey to Ireland would be complete without a trip to the Guinness Center to experience this traditional Irish brew. The rest of the afternoon is at leisure. We gather together tonight for a traditional dinner as we celebrate the close of our pilgrimage in Ireland. Overnight in Dublin.